Capable of performing 2D and Computed Tomography (CT, 3D) inspection, with a maximum resolution of 0.3 mm, magnification of up to 10,000X, and a maximum tube voltage of 160 kV. Automated modules help with X-ray inspection of BGAs, LSPs, QFPs, QFNs, and PTHs, void calculation, and performing wire sweep measurements. Capable of performing compositional analysis and conducting thickness measurements. A movable X-Y stage and variable Z-axis source allows great flexibility with sample size: from a single surface mount chip to a hand-held portable electronic device. 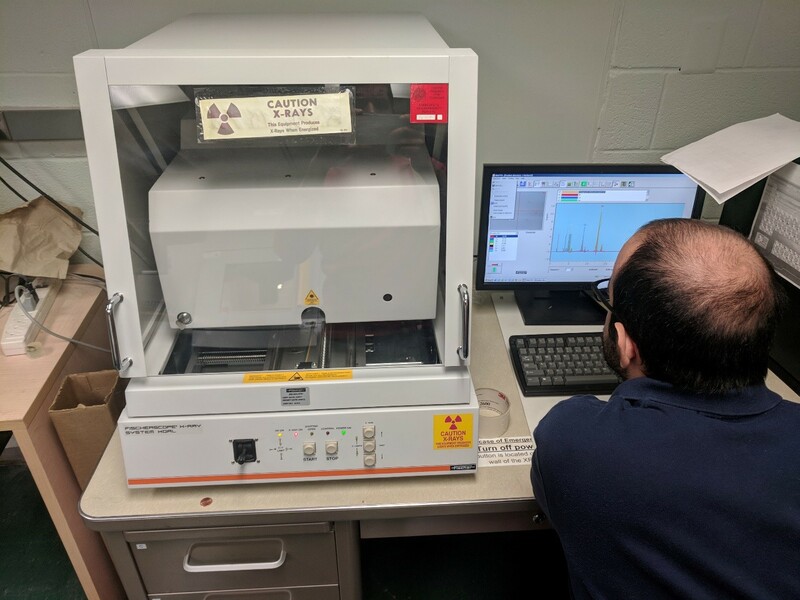 Material analysis mode of the XRF provides analytical range from Aluminum (Z=13) to Uranium (Z=92) where detection from 0.1% to 100% is achieved accurately. The system offers four collimators with programmable, motorized controls. The minimum collimator size of 100µm allows XRF analysis of small regions of interest. Capable of performing power device characterizations up to 1500 A and 10 kV. The Power Device Analyzer can measure currents at a sub-picoamp level at high voltage biases. 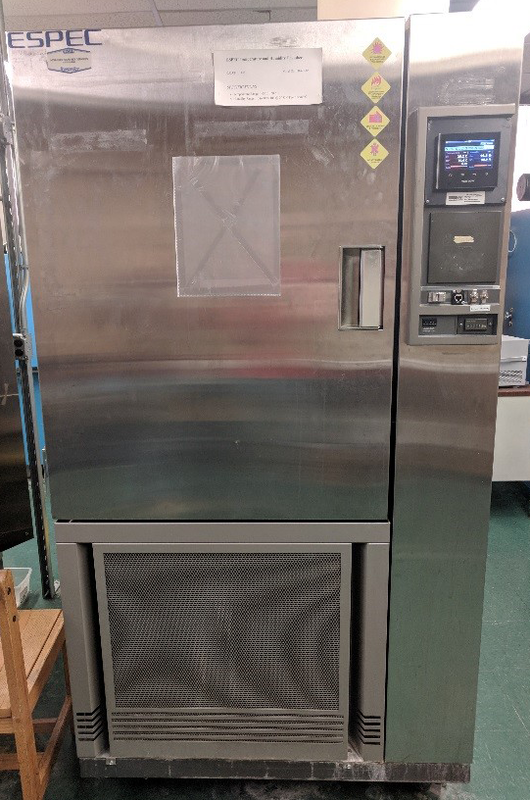 Capable of generating environments between a temperature range of -20 to 150 ° C and a humidity range of 0 to 98% RH @ 0 ° C < Temp < 98 ° C. Interior dimensions are 23" x 31" x 33". A HAST environment is defined by high temperature, high humidity, and high pressure. These three factors categorize the HAST chamber as a destructive environment for standard high reliability testing of integrated circuits. The maintenance of high humidity at temperatures above 100°C allows for extreme acceleration, up to a factor of 50, of corrosion mechanisms due to moisture. Capable of generating environments between a temperature range of 105 to 162 ° C, a humidity range of 75 to 200% RH unsaturated, and a pressure range of 0 to 56 psi. Interior dimensions are 10" dia. x 13". Capable of generating environments between a temperature range of -184°C to 315°C (using LN2) and -73°C to 315°C (using LCO2) and combining uniaxial vibration. Interior dimensions are 20" x 12" x 16". 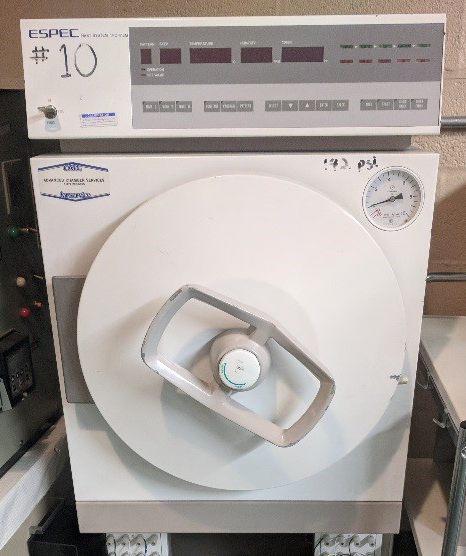 Capable of performing highly accelerated life tests (HALT) between temperature ranges of -100°C to 200°C at a temperature rate of change of 60°C/minute. 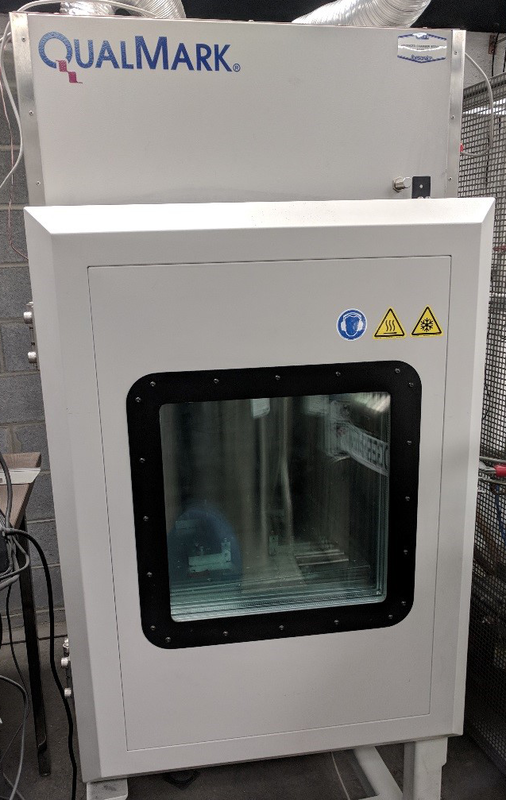 The chamber is also equipped with four pneumatic actuators capable of providing simultaneous repetitive shock vibration (RSV) stresses on fixe test articles across a wide frequency range. The vibration controller is equipped with several time-domain, frequency-domain and fatigue analysis software tools. Interior dimensions are 27”w x 27”d x 19.5”h. 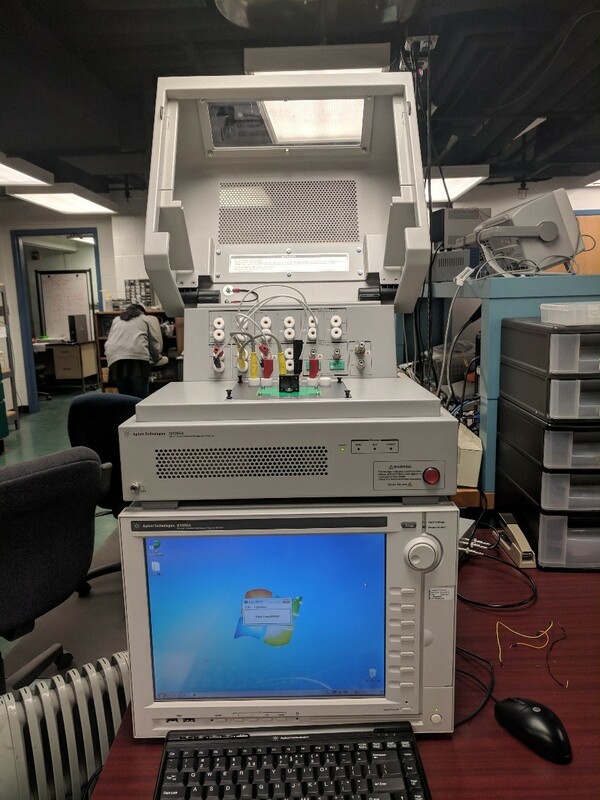 The Tensor 900 is a fully contained multi-axis vibration test system capable of precise control of all six degrees of freedom between a 10 Hz to 5 kHz bandwidth. The system can reproduce real world vibration environments by simultaneously exciting all three linear translations as well as all three rotations. The TMA Q400 permits the measurement of dimensional and viscoelastic changes as a function of temperature or time. Typical applications include coefficient of expansion, softening point, glass transition determinations, and modulus measurements. The temperature range of the TMA Q400 is -150°C to 1000°C. 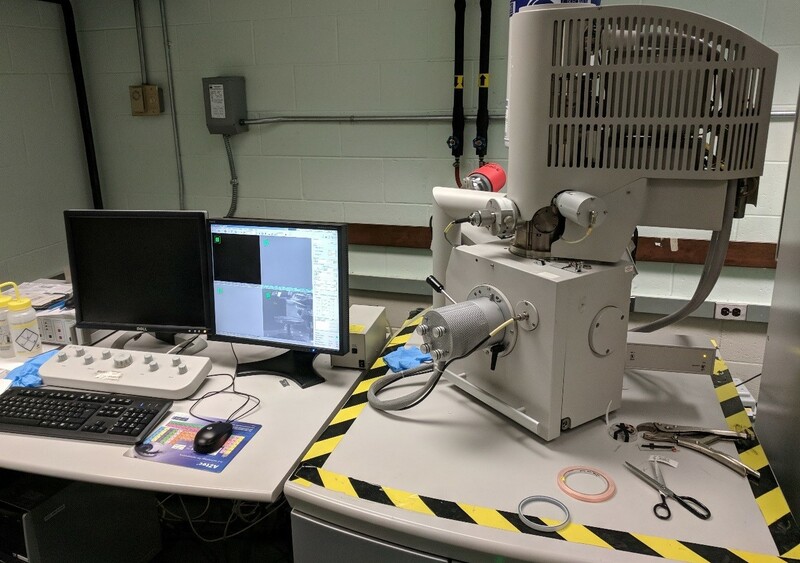 CALCE houses a state-of-the-art FEI Quanta Environmental Scanning Electron Microscope (ESEM) with advanced Energy Dispersive Spectroscopy (EDS), Digital Imaging, and in-situ Heating/Cooling capabilities. 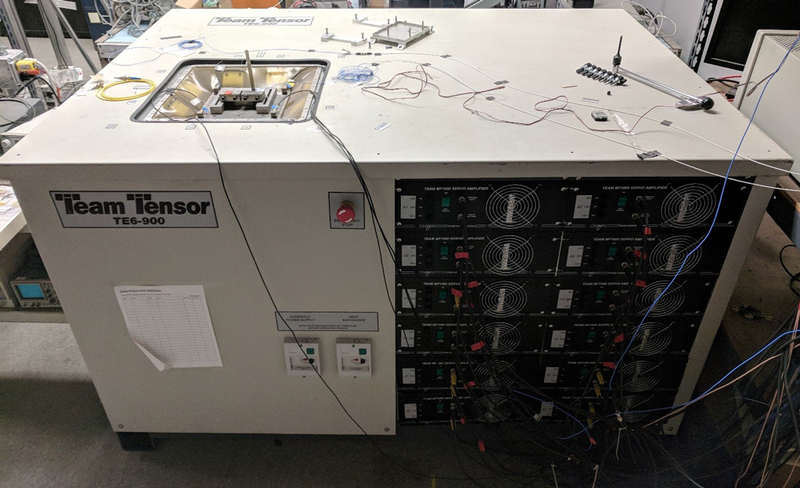 The ESEM can be operated in a high vacuum-high accelerating voltage mode (standard SEM mode) very high magnification (>100KX) and high resolution or low vacuum high accelerating voltage mode. These three modes (high-vacuum, low-vacuum and ESEM) accommodate the widest range of samples and allow CALCE researchers to examine unprepared, uncoated specimens in their natural environment. CALCE also possesses the added capability to conduct dynamic characterization like wetting, drying, absorption, melting, corrosion, and crystallization using the ESEM. 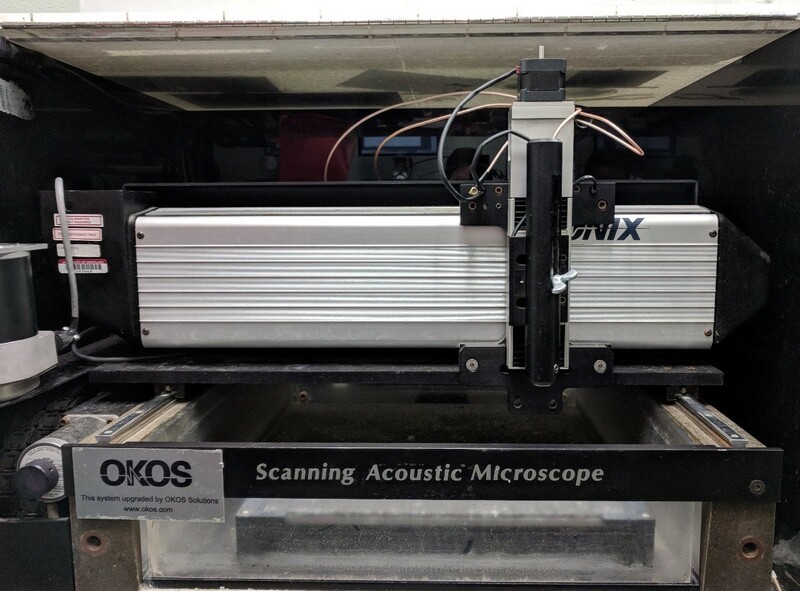 The SONIX Scanning Acoustic Microscope is used to image a specimen’s internal features. 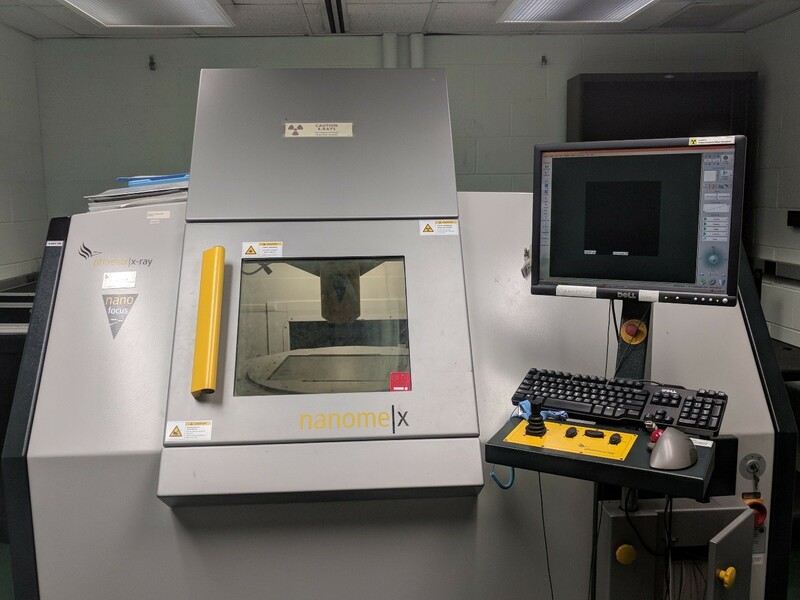 Scanning Acoustic Microscopy (SAM) is highly sensitive to the presence of delaminations, and can detect delaminations of sub-micron thickness, which are difficult to detect using X-ray radiography. SAM is an important tool for detecting popcorn cracking/delamination, die attach voiding, evaluating flip chip underfill integrity, and lid seal integrity in hermetically sealed packages. The Scanning Acoustic Microscope can operate at frequency ranges between 2.25 to 230 MHz. 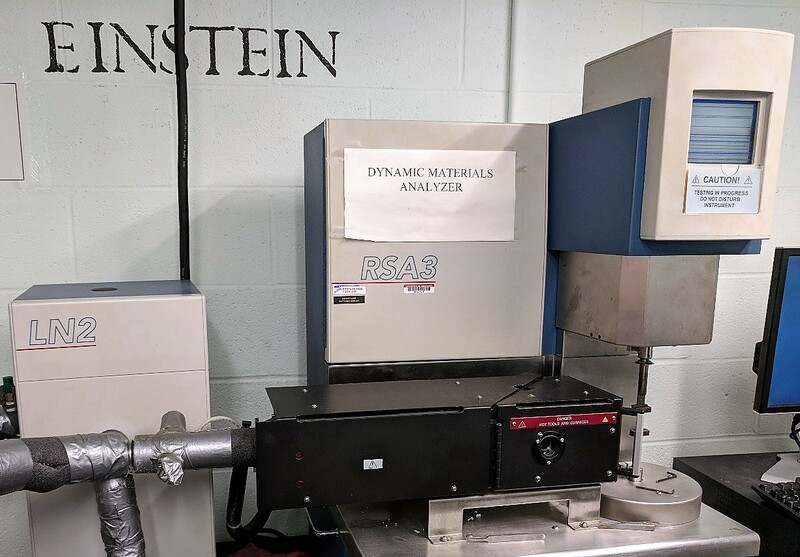 The RSA3 Dynamic Mechanical Analyzer (DMA) measures the mechanical properties of a material as a function of time, temperature, and frequency. 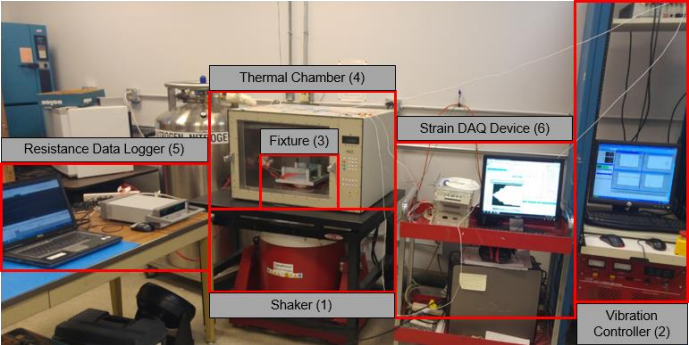 It is capable of characterizing dynamic mechanical properties, such as modulus, viscosity, creep, stress relaxation, and stress/strain behavior, over a temperature range of -100°C to 500°C. 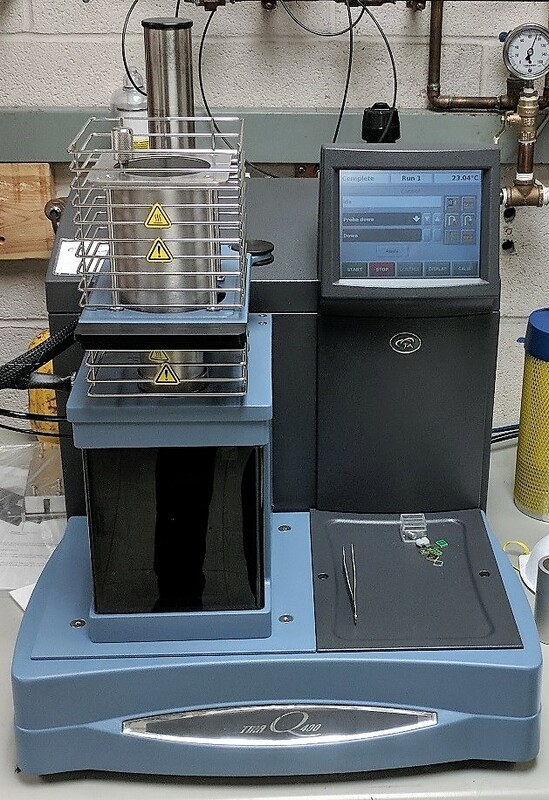 The RSA III is particularly well-suited for compression testing of soft materials, such as gels and elastomers, and for low stiffness, high frequency measurements on films and fibers. Used to induce shock loads to PCBs. The Lansmont Drop Tower can achieve ~10,000g, and wih the addition of a dual mass shock amplifier (DMSA) can achieve ~35,000g. Pulse profile (quick high amplitude impulse vs. longer shorter amplitude impulse) can be controlled by changing the medium of contact in the drop tower.